This post is dedicated to Anna Uhlig, Karl’s mom. Amazing moms go above and beyond for their family, and Anna treats everyone as if they were family. She has been called a “living saint” and is one of the kindest people I have ever met – this is not a bold statement, as most people who know her would say the same. I often wonder how her huge heart fits inside her small frame! She grew up in Little River, Kansas, a small town of about 550 people. Anna met her husband Paul when she was a freshmen at the University of Kansas. They have four handsome sons, Paul Kenneth, Karl, Robert, and Evan. She is a very talented musician and skilled in the art of multitasking. 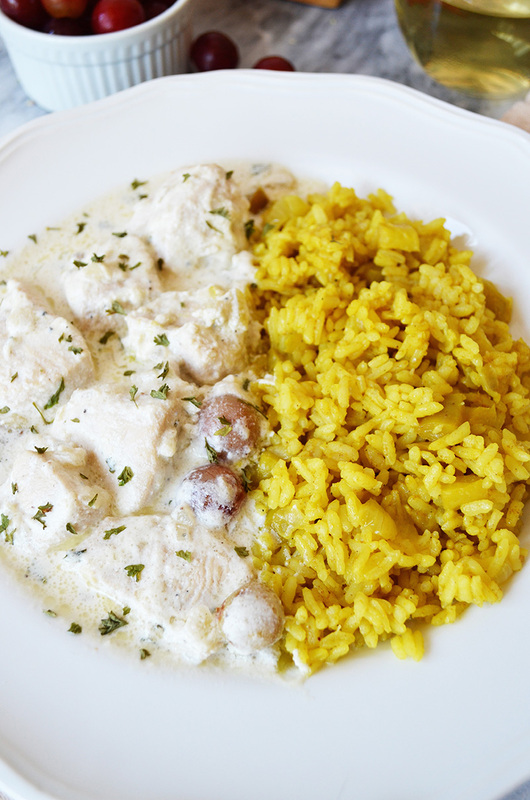 When Karl comes home to visit, the family gets really excited because not only do they get to see him, but a visit from Karl means chicken and grapes with curried rice for dinner! This is one of Karl’s favorite dishes his mom makes. I love this dish too and have played around with it to make it my own. 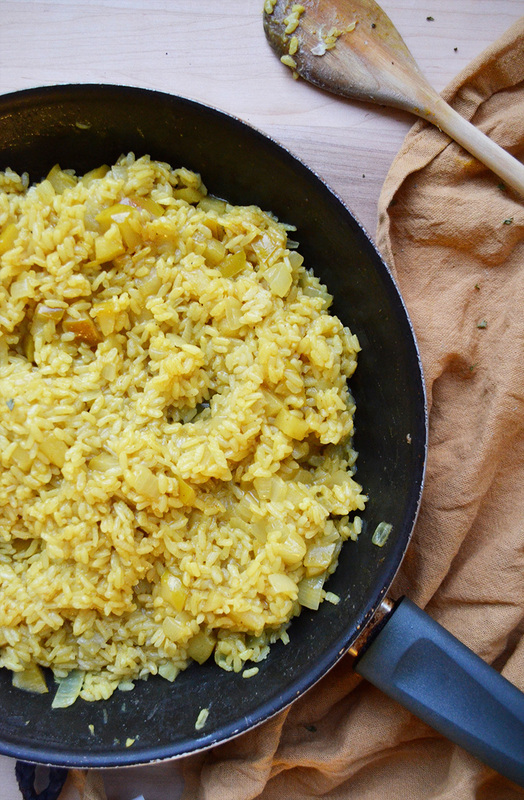 The curried rice is cooked with chopped apples and onions. 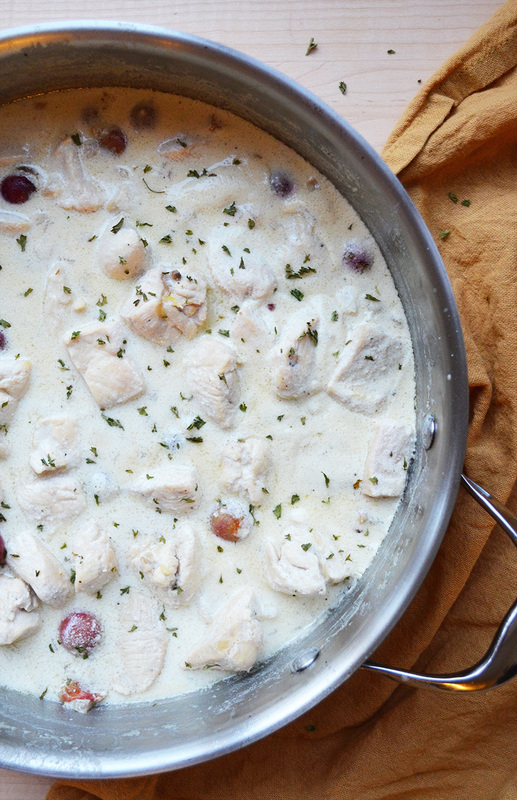 It’s absolutely decadent and pairs perfectly with the creamy wine sauce and chicken. It’s the perfect dish for a small dinner party if you’re looking to surprise your guests with a gourmet meal. I use to be afraid of fruit in savory foods (ex. hawaiian pizza). Now I am a believer, thanks to this dish. I recommend starting on the rice first. When the rice is cooking, you can work on the chicken and sauce. You can use any kind of rice you like, but I prefer cooking with medium grain rice. I think we can all agree that dry chicken is bad chicken. If you slice the chicken breast into thin pieces and cook it until it is just no longer pink, then quickly remove it from the heat, it’ll come out perfect in the end. Over medium heat, melt the butter in a large pan. When the butter is hot, add the onions and garlic and cook until the onions are soft, about 5 minutes. Add the diced apples, bay leaf, and rice, then stir in the curry powder. Reduce the heat to medium-low, cover, and cook for 20 minutes. Fluff with a fork, then set aside. 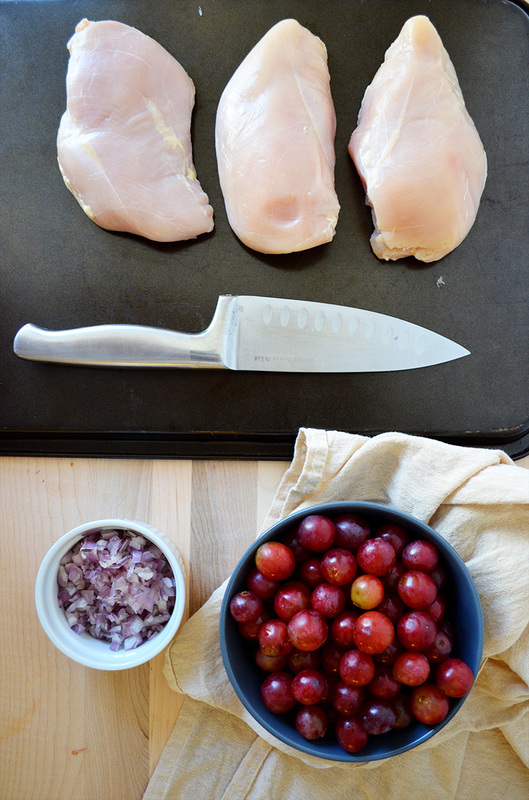 Slice the chicken into thin square pieces (1/2 inch thick), then set aside. When the butter is melted, turn the heat up to high and add the chicken. Season with salt and pepper. Stirring constantly, cook until the chicken is no longer pink and just barely cooked through, about 4 minutes. Plate the chicken and leave the juices in the pan. Add the shallots to the pan and cook for 2 minutes. Pour in the chardonnay and cook until half the liquid has evaporated. Pour in the juices that have gathered on the plate from the chicken, then stir in the half and half. Add the grapes, then season with salt and pepper. Cook for 4-5 minutes, then return the chicken to the pan. Cook for another 2-3 minutes, then remove it from the heat. 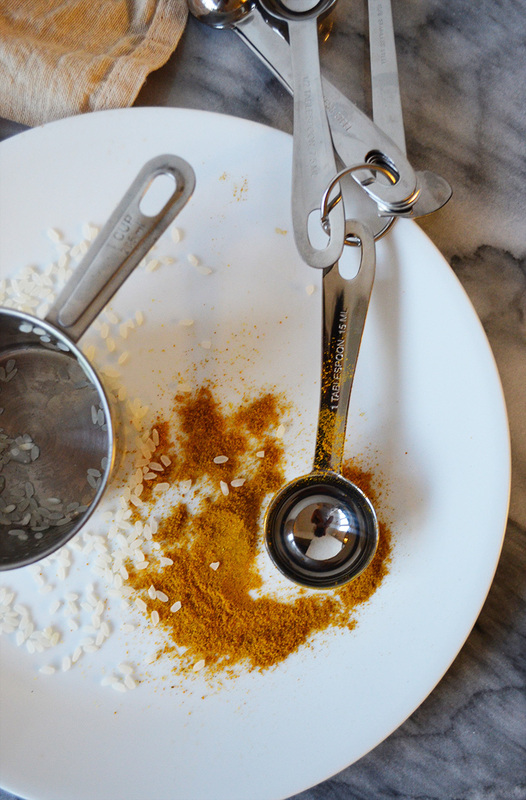 Sprinkle with dried parsley and serve with curry rice. This entry was posted in Entrees, Sides and tagged chicken. thank you Connie for the dedication! You are so sweet to do this. I’m so glad you’ve made this your own (and I’ll bet Karl is too). As usual your photos and recipe look tasty & tempting! I will try your version soon. Thank you Anna!! Let me know what you think of the alterations! Wow this looks amazing! Which cuisine is this from? And you’re really good with photography 🙂 I also noticed that we are using the same theme! Thank you Diana! You are too kind! This is a French inspired dish (: We have good taste in themes hehe I love Sugar & Spice (plus, it’s free)! Hello, Connie! Wow, I’m not sure I’ve ever seen a dish like this before. It sounds so delicious! 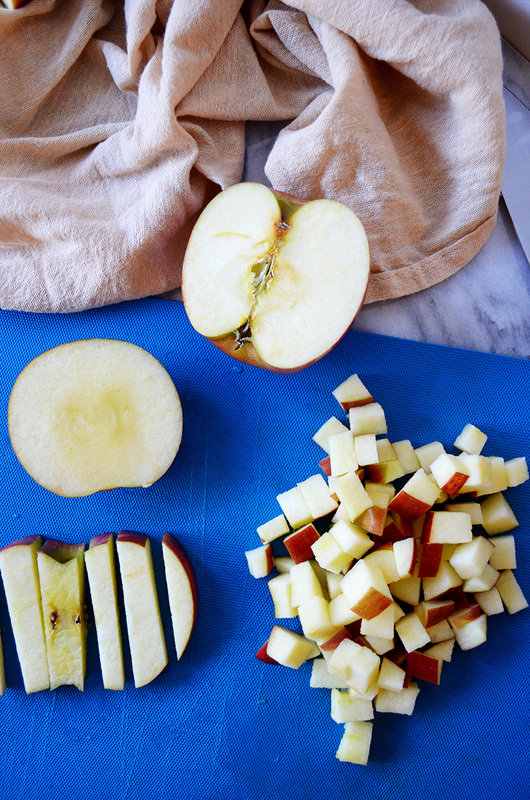 I love that you’ve added those apples to the rice …. mmmm. I’ve really got to pin this one! Thank you so muchHelen! 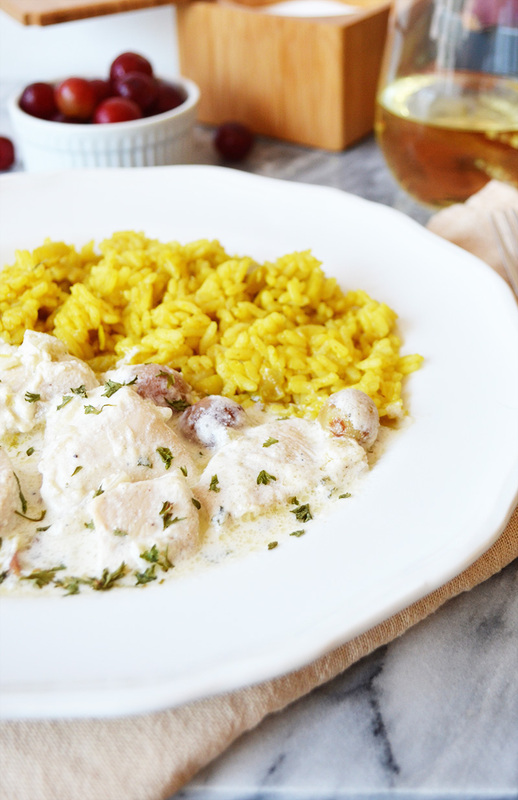 It is an awesome dish that I’m sure you will enjoy! 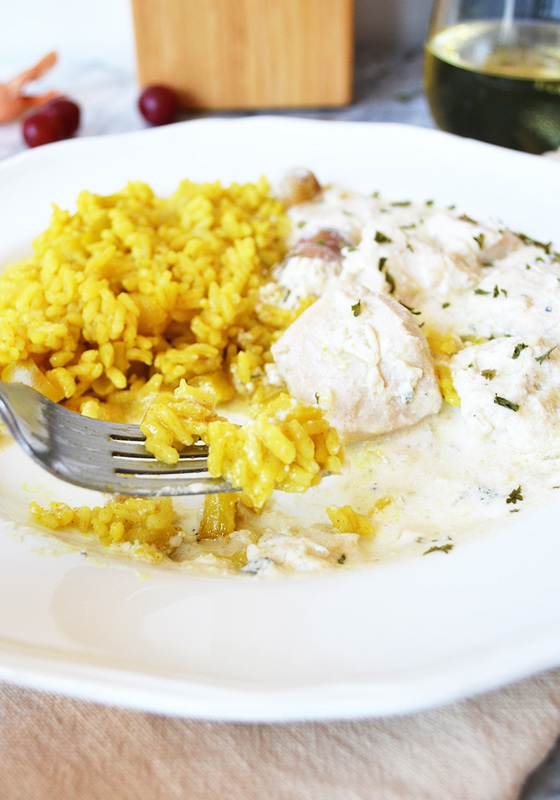 This rice looks literally amazing and I 100% have to make this as soon as I return from vacation!